I have just seen this pic on the net. Have they resigned? I am out of circulation for a bit. But… I have given posting rights to a number of undisclosed people and a few nominees / proxies, including a Sudanese judge, so it may be that I will not be able to bear it when I return and see what is going on here. I am reliably informed that none of the people posting here this weekend have accounts with Northern Rock. They have moved their money to another bank. Who knows who will appear on my blog as an author this weekend… but it won’t be me, so I cannot be held responsible (in any way) for the content, direction or tone of my blawg for the next few days. I just hope that my blawg security hasn’t been hacked and you end up having to read something about Law. Have a good weekend.. Bon chance… bon voyage et al…. Oh… and..finally… if you want to read something about wild talk and conspiracy and whether Harriet Harman, Clunking Fist and others are going to have a dawn raid… then Head of Legal is where you should go…. a piu tarde…. whatever that means. Dermod O’Brien QC has criticised The Bar Council. He complains that the Bar Council has shirked its responsibilities in declining to support litigation (in connection with Pensions for Recorders) in the Employment Tribunal against the Ministry of Justice. “Significantly, he claims (wrongly) that, while the Bar Council, ‘recognises the likely merit of his claim, it refuses to lift a finger to help and its excuses are pathetic’ and suggests that you should withold your voluntary subscription. I enjoyed reading the Vos response over lunch at The Bollo. I had vegetable lasagne and a glass of Sangiovese (my first wine for a while). £6.95 inclusive of wine. It was delicious. Whatever next? Police Community Support Officers, the ” Eliot Ness Untouchables” of the modern police service, are at the very forefront of crime fighting again. This time they are called to an incident by some witless shopping centre security guard to stop young children singing carols. According to The Sun, the children were singing too loud. Objections came from tenants of a shopping Mall in – an O2 mobile phone shop, supported by a Passion for Perfume store and a Timpsons shoe worker complained. Ridiculous. I am making a stand. I won’t be buying anything provided by O2. I don’t wear perfume, so I can’t make a stand on that one, and I buy my shoes from Church’s and Jones the Bootmaker…they last for years and do not need to be repaired that often. I still have a pair from 1983. They still work quite well and are ‘fit for purpose’. Head of Legal has a fascinating analysis of the Labour Party donations scandal and considers, inter alia, whether Harriet Harman has committed any offences. If you are interested in “Donationsgate” this is worth a read. 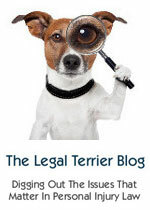 Quite a few posts on Head of Legal’s blog about this… scroll down! The General Quagmire… Pakistan and the Rule of Law. For all his rhetoric of enlightened moderation and vows to ensure that democracy would see the light of day again in Pakistan, General Musharraf has proved to be no better than the other despicable military dictators who have abused this unfortunate country. The façade of a volatile situation (courtesy the vicariously fought “War on Terror”) was created to justify the imposition of ‘emergency-plus’ (aka martial law), a concoction of the miserably inept government that, they hoped, would be a quick-fix to the real thorn in the General’s side– the independent judiciary and media. Come 3rd November 2007, and within hours the face of the judiciary had changed with new, hand-picked, pro-Musharraf judges taking oath under the Provisional Constitutional Order (PCO, a Machiavellian concept instituted by the last military dictator, Zia ul Haq). Those judges who refused to take oath under the PCO were placed under house arrest. Lawyers, civil rights activists and ordinary civilians who took to the streets, to protest the imposition of martial law, were also whisked off to prison, but not before being brutally beaten. The country’s most popular private television networks were gagged, and the GEO network was eventually ordered to shut down all operations. All the while General Musharraf maintained that whatever was being done was in the “best interests” of the country. Does it also serve these “best interests” to beat and torture lawyers in prison? On Saturday 24th November 2007, a renowned lawyer, Munir A. Malik, was shifted to hospital with total renal failure. Rumours persist that he was either poisoned whilst in prison or punched on his kidneys, eventually leading to his condition. He, and so many other heroes like him, remain remarkably defiant despite all they are going through. The few who have been released tell chilling accounts of the mental and physical torture to which lawyers are subjected. Their only ‘crime’ being that they stood up for the rule of law and democracy in Pakistan. Alas, despite martial law and the hundreds of jawans (soldiers) nestled in their sandbag cocoons in every nook and cranny of the country, two bombs exploded in Rawalpindi last Saturday, and there has been a rocket attack on Turbat airport on Tuesday 27th November 2007. Military training must be lacking severely, though no real surprises there as, the only thing the Army has done in the 60 traumatic years of Pakistan’s independence is lose wars, reign over and ruin the country and do the American’s bidding. The state of things in Pakistan clearly point towards a deranged group of individuals at the helm of affairs, with not a care that the future of the country is at stake, nor for the suffering of millions. The Constitution, alongwith all fundamental human rights, have been suspended until such time as the General has had his fill of power. Clearly, the long arm of Musharraf’s law is long enough for murder and torture, but it is just too short for justice. The Ant & Dec double act of Her Majesty’s loyal opposition must be singing about the rain pouring down on the increasingly beleaguered Prime Minister. The latest news about failure to report donations made to the Labour Party correctly has claimed the scalp of the General-Secretary of the Labour Party. Listening to Radio 4 this morning, I heard Frances Maude saying that it was surprising that the General-Secretary did not know the rules, given that he was the person who was responsible for compliance with the legislation on donations before he became General-Secretary. Baffling. BRITAIN’S top judges have been put at risk after two CDs with their personal details were sent out in the POST. There does not seem to be any suggestion that this information is lost. The focus of the story seems to be on the fact that the information was sent out on unencrypted discs through the post. I’m afraid I’ve been at the Photoshop again – any suggestions for another caption to the pic of Gordon Brown? Matthew Parris thinks Brown is doomed. Interesting article. If an England football manager can be sacked for incompetence, why not a Prime Minister?… seems to be the main theme.